The SigNET system provides Wired and Wireless as standard for the security installer, minimising the installers time onsite as the most appropriate technology or combination can be chosen for the particular installation. SigNET fulfils all the security needs, suppor ting W ired / W ireless / Hybrid & Access Control The decision which security system to use - just got even easier. A full range of controllers from the SigNET 100 through to the SigNET 300 for all applications. Are you protected against invisible intruders ! Water ingress can cause significant damage to property and possessions before detection. Simply install a Wireless Flood Detector for complete peace of mind. The SigNET system and all its peripheral components are available from a wide range of distributors across Ireland. So wherever you are the SigNET system is available. Are you putting your IT Security at Risk? 32 Ch Virtual Alarm Inputs (Motion Detection) 16Ch Alarm Inputs Dry Contacts (NO/NC) 5 Alarm Outputs Plus 1 12V Relay Up to 16TB Storage Capability (8 SATA Ports) eSATA & USB Port for External Backup Built-in Powerful Web Server Network Monitoring (Public & Dynamics IP) Dual Stream For Flexible Network Communication Hard disk hibernation technology, HDD faulty alarm & Raid(Redundancy) Multiple Control Ports (1 RS232, 1 RS485 & 2 USB MSS (Mobile Surveillance Software for smart phone) Optional. Built-in DVD/RW. All ICR DVRS, NVRS and IP cameras work with iPhone, Blackberries and Windows Smart Phones. Lesley Doyle, Brendan Kavanagh, John O’Reilly, Nigel Tonge, Hugh Sexton, Jason Kelly, Michael Brennan, Stephen Heffernan and Geraldine Dempsey. Our next seminar took place on the 19th of May when Stephen Dunne, RAW Group (Pollution response & remediation specialists) examined the various issues associated with the remediation of commercial & domestic properties contaminated by oil spills. The Autumn season will kick off with association members ‘The Motherboard Group’ discussing advancements in IT disaster recovery while Dennis Woods of The Business Continuity Institute will deal with the broader perspective of Business Continuity Planning. We look forward to welcoming you to these and future seminars, details of which are available on www.airm.ie. I would l to welc ike ome tw o membe rs to th new e commi tt Farrell ee, Phil Lewis and who wi John Dunny ll als the role o assume of treas urer. "Under current licensing requirements for intruder alarm installations it is possible for someone to argue that they maintain alarm systems but do not install such systems..." in place a clearly defined process that will allow future comment on any requirements document to address any specific item that may be of concern to its reader. So what do I see as the current position. A week prior to the presentation of my paper, part 1 of the new European standard for CCTV installations (EN50132) was published in Europe by Cenelec and is now formally adopted here in Ireland. By Peter Kelly, Marketing Manager, G4S Services (Irl.) Ltd.
"An important point to be aware of is that the maintenance of intruder alarm systems is a licensable activity and the relevant legal requirements exist for the maintenance of intruder alarm systems since licensing for the sector was introduced." date or having applied for licensing and certification fails their inspections or the internal requirements of the PSA itself. If we apply all of the above to CCTV, we know as an industry it is a licensable activity and we know that the “Requirements” criteria are now in place following the completing of the sector’s “Requirements” document. What we must now do is seek agreement on the certification process itself and how the requirements document will be interpreted. Once this is completed I anticipate the PSA will move on concluding their legal obligations. So the coming weeks are important for our industry. By the time this magazine is distributed we will have had a further meeting of TC13 – the committee that deals with standards here in Ireland. We will have reviewed the implementation date of EN50132. The Stakeholders Forum will have met again with the PSA to consider any possible cross over between the standard and the "Requirements" document. We still need to consider how the “Requirements" document and possibly the standard are to be certified. But at the end of the day I would anticipate licensing for the CCTV sector to be announced this year with sometime in the first quarter of 2011 being the critical date by which anyone trading in the sector without having applied for a license will be considered as trading illegally. stakeholders as well as the invaluable expertise and input from our colleagues in An Garda Siochana has resulted in a sector which is comprehensively regulated and properly controlled and monitored by an independent statutory body. The PSA believes that the standards covering Irish CiT operations are exacting but fair, challenging but attainable. This promotes confidence in the clients and prospective clients of the CiT contractors and a secure and efficient operational framework for CiT operators and their staff. without a licence there exists the provision for criminal proceedings to be taken against those clients who use unlicensed contractors. However CiT is a numerically small sector and initial evidence and intelligence gathered by our enforcement staff would indicate that licenses issued to date cover all the contractors known to the PSA. If any of the people reading this article are aware of, or suspect, illegal CiT contractor activity, our enforcement Division can be contacted at 062 32600. The PSA has brought CiT contractors within the licensing net however that does not conclude our efforts in this sector. The PSA is currently actively considering the issue of licensing individuals working within the sector. The Authority is currently conducting widespread consultation with all relevant industry stakeholders and these consultations will invariably inform aspects of individual licensing when that it introduced. The PSA would like to thank employers, trades unions and An Garda Siochana for the help, guidance and advice it received in the long march to licensing of the CiT sector. The Authority is aware and appreciates that licensed CiT contractors have committed significant funding to meet the requirements of the standards as well as the large amounts of their time and effort spent in their dealings with the PSA from the inception of the process. They and their staff have played their part in the successful introduction of licensing. We look forward to continuing that constructive work into the future. Megapixel IP Cameras Image Quality Advantage By Paul Hennessy – Managing Director, Northwood Technology Ltd. Megapixel IP cameras, when compared to analogue CCTV cameras have significant benefits. In most applications, a megapixel network camera will cover the same area as an analogue CCTV camera with an improved quality of picture for facial recognition. We are all too familiar with images captured from analogue CCTV systems where poor quality meant little could be learned and often no positive identification was possible. Megapixel network cameras can solve this major disadvantage by offering both the situational awareness and detail in a single image. Launching June 2010: The RF-Range Tester, RF-Repeaters and the RF-Smoke Detector. HKCâ&#x20AC;&#x2122;s RF-Range Tester will become a valuable piece of your toolkit - it allows you to carry out an audit of the radio paths in a premises prior to installation. Also coming - two repeaters, one which has its own power supply and a 7Ah battery compartment. And the RF-Smoke Detector - with Two-Way Wireless communications. are seeing increasing consumption of IP. The slowest to move into IP is security applications pertaining to high-rise commercial multi-tenant occupation and education facilities. What many are doing, and what is typical of many installations today where end users and integrators are adopting what they feel are the most beneficial pieces of IP-based technology, is using adapters such as Sony’s ‘Go Hybrid’ solution. Utilising the Sony ‘Go Hybrid’ solution includes the pros of both systems without the additional cost. Sony’s ‘Go Hybrid’ video security solutions allow a seamless integration of old and new across the range of products. You can migrate to IP without throwing away your analogue systems and more importantly even if some of your systems are from alternative manufacturers, still integrate them. This hybrid approach is helping to alleviate the technical issues and costs traditionally associated with switching to a new system and enabling businesses to future proof their security infrastructure. Sony recognises the potential for hybrid solutions to transform the security industry by driving the adoption of IP technology. Sony has developed a breadth of both analogue and IP video security technology, from recorders and cameras, to software, encoders and monitors that can all be combined. Encoders can be used to convert signals from one platform to the other. Not only does this enable businesses to move from analogue to IP with ease, users can seamlessly integrate standard and high definition security equipment, without having to replace their existing security system. There is a growing body of support towards moving to a higher standard of CCTV footage. In the UK for example, MP Tom Harris has presented a Closed Circuit Television (Monitoring and Promotion) Bill to Parliament to ensure a base quality of CCTV systems in the UK. This would give vital support to local police forces in bringing forward prosecutions – but would analogue provide enough quality to support this Bill? One of the driving factors being made about the switch from analogue to IP is the growth of high-definition, which in the security industry is having a significant effect on the video surveillance market. We are seeing an increase in customer demand for higher and higher resolution. This started with the introduction of the megapixel camera and has driven the latest HD innovations, including the need for increased image quality for the use of investigations and court hearings. The idea with high definition is that you can now see the detail and in this market, that kind of HD quality is what customers need to provide for positive identification of evidence or validation of an event. Creating a hybrid of analogue and IP security technology ensures that the industry can retain a high standard of image quality, whilst ensuring companies continue to receive ROI. It’s cost-effective to integrate the two systems that work in harmony to create a complete video security solution. Thermal imaging cameras create a virtual security fence and are finding their way into many security and surveillance applications. Nuclear plants, petrochemical installations, warehouses, ports & airports they all are vulnerable to theft, or even worse terrorist attacks, and can be protected by using thermal imaging cameras. Terrorism, vandalism, and random violence threaten the safety of personnel and the integrity of public Thermal imaging cameras create a virtual security fence and are finding their way into many security and private facilities. A comprehensive security program utilizing thermal imaging is the key to asset and surveillance applications. Nuclear plants, petrochemical installations, warehouses, ports and airports protection and risk mitigation. Thermal imaging exposes threats hidden in the darkness, concealed by they all are vulnerable to theft, or even worse terrorist attacks, and can be protected by using thermal adverse weather, and veiled by obscurants like dust, fog, and smoke. imaging cameras. Thermal imaging offers advantages over low light and daylight cameras in applications where lighting is Terrorism,too vandalism, andorrandom violence threaten the safety of For personnel the integrity of public impossible, expensive long range performance is required. borderand security, port security, and and private facilities. A comprehensive program utilizing thermal imaging is the initiatives. key to asset critical infrastructure applications, thermalsecurity imaging has proven vital to threat detection Even protection and risk mitigation. Thermal imaging exposes threats hidden in the darkness, concealed by with the best daylight or lowlight cameras, there are many situations where a thermal imager adverse weather, and veiled by obscurants like dust, fog, and smoke. outperforms all other sensors. Thermal imaging offers advantages low for light and daylight cameras in applications where lighting Thermal imaging cameras are a new over weapon intrusion detection. They detect intruders sooner, prois impossible, tooreact expensive or longpeople, range performance required. For border security, port security, vide more time to and protect assets, and is infrastructures. They are operational 24 hours and even criticalininfrastructure thermal imaging to monitor threat detection initiatives. a day the darkest applications, of nights, dense fog, snow has andproven smokevital they large areas over far Even with the best daylight or lowlight cameras, there are many situations where a thermal imager distances. outperforms all other sensors. If you would like more information about the above or about FLIR Systems and its wide range of Thermal imaging new weaponapplications, for intrusion please detection. They detect intruders sooner, thermal imagers forcameras securityare anda surveillance contact: provide more time to react and protect people, assets, and infrastructures. They are operational 24 hours a day even in the darkest of nights, dense fog, snow and smoke they monitor large areas over far Northwood Technology Ltd distances. just like an IP device. • Completion by boards of a questionnaire based on the principles enshrined in these codes. • Interviews with company directors, Chairpersons, CEO and other directors as deemed appropriate. • Reviewing a company’s compliance with relevant corporate governance codes. Ann Riordan, Chairperson, NSAI and President of the Institute of Directors, Mr. Brian Kelleher, T.D., Minister for Trade and Commerce, and John Smyth, Chair of Code committee. encourage company directors, company secretaries, board members, senior management and business owners to look to the Code as a vital tool that will help their organisation operate to the highest standards of Corporate Governance. One of the most important aspects of the new code is the assessors cannot have an existing relationship with the organisation they will be evaluating for 24 months on either side of the assessment. This is a crucial step in re-establishing stakeholder confidence and rebuilding Ireland’s reputation as a country to do business with.” The development of the Code, which commenced in October 2009, is the output from new NSAI’s priority development process (SWiFT). More than a dozen key professional bodies engaged in the promotion of best corporate governance practice participated in its development, including NSAI, IoD, the public and private sectors, the Financial Regulator, Office of the Director of Corporate Enforcement, Corporate Governance Association of Ireland (CGAI), Irish Small and Medium Enterprises Association (ISME), Institute of Chartered Secretaries and Administrators (ICSA), Institute of Public Administration (IPA), Standards in Public Office Commission and corporate governance experts from academia. The code will be reviewed on a regular basis to reflect changes in regulation, legislation and corporate governance codes. Norbain SD is one of Europe’s most successful distributors of Norbain SD is one of Europe’s most successful distributors of CCTV, IP Video, Access Control and Intruder Detection equipment. CCTV, IP Video, Access Control and Intruder Detection equipment. We are an authorised distributor of over 90 of the World’s We are an authorised distributor of over 90 of the World’s leading electronic security brands and the exclusive home to leading electronic security brands and the exclusive home to Vista, the UK’s largest selling range of CCTV equipment. Vista, the UK’s largest selling range of CCTV equipment. If you are an installer of security equipment, and registered with If you are an installer of security equipment, and registered with the PSA, please contact our dedicated Ireland sales desk on the PSA, please contact our dedicated Ireland sales desk on 0044 118 912 5566, where Angela, Abby and Victoria are waiting 0044 118 912 5566, where Angela, Abby and Victoria are waiting to take your call. Or email us on irelandsales@norbain.com to take your call. Or email us on irelandsales@norbain.com Strictly trade only. Strictly trade only. IP Perspective is a new column that looks at IP technology trends and the IP industry in Ireland. The CCTV industry has been migrating to digital video surveillance over IP networks for the past four years. This is continuing to grow as was established from the first ever ‘National IP Video Surveillance Survey’ carried out in early January 2010 by GVD Ltd. This found that 66.7% of security installers who responded deployed IP cameras in over 25% of all security installations completed in 2009. In other words, two thirds of security installers have used IP video surveillance in over a quarter of all the security installations carried out in 2009, thus making IP video surveillance a significant portion of the security installation market. The overwhelming biggest single advantage of IP is seen to be Higher Quality Megapixel Images according to 63.9% of respondents. The next biggest advantage is the Ease of Installation and Wireless connectivity according to 16.7% of respondents and 13.9% responded with ease of Systems Integration. These results provide interesting food for thought within the security industry and confirm the increasing popularity and deployment of IP security solutions systems in place of analogue CCTV systems. Increase in IP based security tenders – have you embraced IP yet? "... 80% of CCTV footage is unusable for prosecution due to lower quality output from older camera systems ... " best solutions are not getting installed leading to frustrations for both security installers and customers. Education in IP networking and IP video surveillance for specifiers of security tenders is seen as vital by the wider security industry to ensure the correct security solution is installed to the satisfaction of customers. Hand in hand with this, more and more CCTV installers are embracing IP security solutions and are availing of training courses to acquire the necessary knowledge to compete for IP based tenders. that the types of cameras associated with IP video surveillance offer higher resolution because they are based on megapixel technology. Megapixel offers a high quality image, which is superior to all analogue CCTV cameras. Footage captured on a 1.3 or megapixel camera will be three to four times the quality of the best analogue camera. There are also 2, 3 and 5 megapixel options available for the right solution. We’ve all seen the variation in surveillance footage on RTE’s CrimeCall programme making it sometimes impossible to identify criminals. With megapixel images, identification and the resulting criminal prosecution become more successful, due to the quality of footage which can be used as evidence in prosecution. No statistics are available for the amount of CCTV footage that is unusable in Ireland for prosecution purposes, but in the UK, the Home Office estimates that 80% of CCTV footage is unusable due to lower quality output from older camera systems. Banks, Post Offices, Retail Outlets and Gardai Crime Prevention Officers are increasingly specifying megapixel cameras to successfully identify criminals. How to prevent forecourt drive aways? In these harsh economic times it’s vitally important for companies, whether large or small, to ensure that they get value for money. In the security area, that applies to buying a new system or upgrading an existing system which no longer works properly, if indeed it ever did. So how does a person without the necessary qualifications ensure that they spend their money wisely? Normally, they adopt one of two approaches (and for example purposes, let’s assume they are buying a CCTV system). a generic system where price is the main consideration. The same process happens with a few companies. The customer is then left in the confusing position of having to decide between a few proposals, none of which they fully understand and where the main influence is cost. Usually, they opt for either the lowest or middle price. Following installation they own cameras, a recording unit and a monitor of some sort but because they have probably chosen the lowest quote they, more likely than not, have not even been shown how to use and operate the system properly. They actually would have been better off putting their money on a horse in Punchestown and if they were lucky, spending their winnings on Lotto tickets. At least that way they would get some enjoyment and value out of their investment. They certainly won’t have received any value from their investment and interaction with the security industry. or has been previously stung by White Van Man. They contact companies with bigger adverts in the Golden Pages or those that advertise elsewhere. The company has a clear view of what they want and task their purchasing manager to get the best value, this time from a reputable company. They then meet Slippery Sid, the sales man, in the flashy suit who attempts to impress them with colourful brochures and sales folders while offering demonstrations of equipment. He also talks about satisfied customers, licensing the industry and warns of all the dodgy companies operating in the business. The customer probably pays twice as much as the unfortunate White Van Man client for the same equipment and yes, you have guessed it, they too would have been better off with a punt on the horses. The key point here is that neither option works as without a written specification and a method of ensuring that the specification was followed you the customer have no way of knowing what you have purchased and whether it can do the job. "..you must hire an expert who is working for YOU rather than themselves or a company selling a particular product." So what’s the solution? Like everything in life it’s not simple but it comes down to the key area of protecting your investment while getting the best value and the system that’s right for you. And then there’s the thorny subject of Government supervision and licensing of this very important industry. consultation to discuss your needs and requirements. 2) S  ign a contract with the Consultant where they get paid only when you are satisfied with the purchase you have made. 3) H  ave the consultant write out a specification to meet your needs and then approach the industry with a tender document for supply and installation of your agreed system. 4) H  ave the consultant supervise the installation and sign off on same. 5) S  ign a maintenance contract with Installation Company to be activated after year one. 6) Insist that a commissioning certificate is issued by the consultant and only then pay the final balance to the installation company. At this stage, you also pay your consultant. industry and the NSAI ensures that the installation meets with the relevant EN technical and safety standards. However neither body guarantees the purchaser a security system that's fit for purpose and which works properly. My belief is that a commissioning cert is the most important document in this whole area yet neither of the two bodies insists that same should be provided. There are reams of paper created by both bodies but none to protect you, the purchaser. This is a gap in the licensing bodies’ operations although they of all people should I believe have the responsibility to look after your interests. It’s a gap which is being exploited by unscrupulous installation companies. Samsung launch 4 channel network-friendly H.264 DVR with built-in LCD monitor The latest addition to the Samsung DVR range, the SVR-470, which utilises “network-friendly” H.264 compression to minimise storage and bandwidth requirements, is able to simultaneously record video in real time across all its four channels. Equipped with a built-in 3.5” LCD screen, the competitively priced SVR-470 is likely to prove popular with end-users who require a CCTV system with only a small number of cameras. One is RF-Wireless and the other isn’t! ALSO our Echo and RF-Echo internal sounders are aesthetically pleasing and offer unrivaled levels of reliability. Access Control Technology (ACT) Ltd. have launched ACTWin 2.7 with the much anticipated ACT Sitemaps. With ACT Sitemaps you can visually monitor events as they occur on your site. Our annual site visit was to the nearly completed Aviva Stadium in Landsdowne Rd. This site visit was kindly arranged by our Aviva members Michael Brennan and Ian Davis. Due to visitor number restrictions a draw was held to determine who the lucky 20 attendees would be. Despite some ribbing from members the draw was all above board as to who the lucky persons who would attend. We met in the old IRFU Head Office directly beside the stadium to obtain a briefing and kit out in the necessary personal protective equipment before entering the arena. Bill Enright made a presentation on behalf of the contractors and then we were broken up into two groups to conduct the tour. The pitch had just be laid in the previous days though obviously there was no sign of any grass at that stage.
" ... the atmosphere is going to be something quite special on a match day." There was a general feeling from all in attendance that the atmosphere is going to be something quite special on a match day and even with matches which may not have a full attendance. Some of the photographs with this article should give a good sense of feeling of what the stadium is like. To the surprise of members our esteemed Secretary and Aviva Staff member got lost and tested the contactors management systems in trying to locate him. A wag amongst our midst unkindly asked where the children’s Lost and Found area was. Fortunately he was safely located and there is no truth in rumour that it was close to the ticket office! At the conclusion of the tour our Chairperson, Geraldine Dempsey on behalf of AIRM thanked Bill Enright for the pleasure of being one of the first to visit the Aviva Stadium. door events and alarms displayed live on the map as they occur. Update A meeting of the Electrical Contractors Criteria Review Panel was held on 9th March 2010. This panel monitors the progress of the new regulatory system and considers suggestions from panel members for improvements or modifications to the Criteria Document. Ms. Karen Trant who is the Manager Safety Supervision of the CER gave a presentation on the progress of the scheme to date. on any building where the Authorised Officer believes such work is being or has been carried out by registered or non-registered contractors. The proposed amendment will create an “Electrical Investigation Officer” who will have powers of entry. Controlled Works are electrical installation work for which a completion certificate must be issued by a registered contractor but can also be completed by nonregistered contractors ( in which case an inspection must be obtained from a Safety Body for a fee. The CER are now preparing to identify categories of electrical installations that can only be completed and certified by registered electrical contractors. These categories will be called Restricted Works. RECI want as wide a scope as possible of installation work to be designated Restricted Works and will be advocating this to the CER. Preliminary proposals are to be submitted to the CER in quarter two of 2010. There will be a meeting in quarter three for discussion on the matter and the CER will publish their decision paper in quarter four. This will be the most important decision in relation to the Regulatory Scheme and we will keep RECI members advised of progress. Common Procedures for Certification, Enforcement, Modifications, Change of Contractor, Transfer of Registration and Third Party Inspection have been published so far. A procedure for Performance Marking is being developed and will “go live” on 1st July. A Notification of Potential Hazard and Emergency Notice procedure which is part of the Criteria Document is also being worked on. will make a DIT award available for attendance and assessment on an approved training course. It is envisaged that training organisations currently providing Verification and Certification courses will be approved to present the course. Once a person has obtained the award they will not be required to attend the course again after a three year period. An assessment will be all that is necessary. Intelligent Conventional Fire Detection Systems Kilsen’s KFP-C fire control panels offer state of the art architecture in configurations that deliver an uncomplicated solution for small to mid-sized conventional applications. They feature an attractive contemporary design that fits with any decor. The gently curved door front offers a distinctive flair. Operator controls are inset in a striking black lexan. With support for multiple lines of conventional detectors and accessories, these quick-to-configure systems offer versatility that benefits building owners and installation/ maintenance companies alike. Smart Monitoring, Irelands fastest growing & most innovative Alarm Receiving Centre. Smart Monitoring The Installers Choice in Security Monitoring Although Smart Monitoring has moved to a brand new purpose built Centre, the business has been in operation for several years under the Goldforce brand. This Alarm Receiving centre has been designed for purpose, to attract Independent installers like you. We know that it is hard to differentiate yourself in the market place; this is where Smart Monitoring can help your business. Holding on to key service contracts, how to grow more business, reducing churn, and getting paid on time are concerns that keep Independent installers up at night. These are the issues that Smart wanted to address. The command centre is operated from its Rathcoole base 24 hours a day 365 days a year and is staffed by controllers with a wealth of experience in the monitoring sector of the security industry, and impressive combined experience of over 100 years between them. Gerry Byrne, control room manager, has been operating in alarm receiving centres for over 30 years. Gerry comments, “The new monitoring centre is streets ahead over anything that I have ever worked in. It not only looks more impressive than anything I have seen, but there has been great attention to detail in the design and layout of the new monitoring centre from the controllers point of view. It makes dealing with incidents easy and more importantly quick.” Smart will not be available to all players in the market, so to ensure your company gets a great deal give us a call today and let’s begin the conversion. Right now could be your company’s only chance to become a partner in a monitoring centre. Introducing the SV-5 DSP powerhouse from Samsung The SV-5 DSP is the latest and most powerful chipset from Samsung. Capable of delivering up to 650 TV lines colour resolution and with intelligent video analytic functionality among its comprehensive list of features, it has been designed to bring outstanding image quality to even the most demanding applications. The SV-5 DSP chipset sits at the core of a wide variety of cameras and domes from Samsung, allowing users to take full advantage of its superb performance and functionality, whilst being able to choose the perfect product for the job at hand. concerning the safety of electrical work and / or other relevant matters. The CER is of the view that it is important that one clear brand message is established and that this is critical to the success of raising public awareness of the new regulatory system. The distinctive Safe Electric logo has been designed for this purpose. The CER launched this brand and is being followed by a TV and radio advertising campaign. Only Registered Electrical Contractors will be legally permitted to use the logo. New General Manager Due to the retirement on 30th April 2010 of David McGloughlin who had been General Manager of RECI since 1996, the Board have appointed Paul Waldron to take up the position. He will be responsible for the management of RECI and RGII reporting to the Board of each company. Paul joined RECI on 8th April. 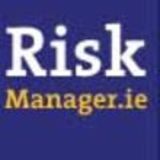 He is an experienced manager having been Chief Executive of Legrand Ireland. He is a past president of the Electrical Manufacturers and Distributors Association. The board of RECI extend their best wishes to David McGloughlin on his retirement. Sony Professional announce Irish Security Distributors as key Video Security distributor in Ireland Sony Professional have announced that Irish Security Distributors, the Cork based Security Systems firm, has signed a deal for the distribution of Sony Professional video security equipment. Irish Security Distributors will distribute the products throughout Ireland. The equipment includes Sony Professional IP CCTV Security cameras, Network Video Recorders and Central Management Software. â&#x20AC;&#x153;Make The Smart Move Todayâ&#x20AC;? Northwood Technology Ltd. Showcased the latest break-through security technology at the Palmerstown House Estate, Johnstown, Co. Kildare Set in a spectacular Co. Kildare location, Palmerstown House provided the setting for Ireland most unique and informative display of security technology. Hosted by Northwood Technology Ltd., Irelands leading & most Progressive Distributor of Electronic Security Systems, the latest break-through security technology was showcased at the Palmerstown House Estate, Johnstown, Co. Kildare on Wednesday the 28th of April. Guest speaker on the day Dara Calleary, T.D., Minister for Labour Affairs commented on how Companies like Northwood Technology are spearheading the drive to introduce innovative and exciting new technologies this demonstrates the spirit and caliber of companies who are taking the current challenges in business seriously. Leading figures from the Security Industry, Business Owners, Law Enforcement and Military were in attendance to see for themselves the latest in Thermal Imaging Cameras from FLIR and Megapixel technology from Avigilon. You will recognize the names as world leaders in their fields and the value of this intensive seminar where these companies combined to showcase their very latest innovative technologies was expressed by delegates in attendance. with a set of functions to provide the optimum solution for specific types of applications and projects. The individual Samsung DSP chipsets each sit at the core of their own specifically developed range of cameras and domes. Users are able to take full advantage therefore of the unique features of each of the chipsets, whilst being able to choose the perfect camera model for the job at hand. technology (SSNRIII) and is able to eliminate image noise in low-light conditions without creating ghosting or blurring. There is also the added bonus that this amazing technology can save up to 70% hard disk space on a digital video recorder, whilst maximising bandwidth when viewing the video over a network. Coaxial control – Multi-language on screen menus can now be accessed either locally or remotely set up from the comfort of the control room via a coaxial control cable. Coaxial control allows both video and telemetry to be transmitted via the coaxial cable, giving full access to camera set-up and pan-tiltzoom functions via a compatible digital video recorder. The technology offers the potential of real cost savings through the reduction of cabling infrastructure, whilst providing flexibility for retrofit applications by allowing existing equipment to be upgraded quickly and easily. Super Dynamic Range (SSDR) automatically lightens the dark areas within a scene whilst maintaining the brighter areas at the same level. This ensures that the dark areas become more visible allowing the operator to ‘view’ objects in the shadows. Highlight Compensation technology identifies areas of peak white, i.e. excessively bright areas, in the image and neutralises it by inverting them to black/grey. This enables the camera to effectively see past these areas allowing the operator to view previously hidden details. Digital Image Stabilisation (DIS) technology that can negate the effects of the camera shaking due to high winds or building vibration. images on a camera’s internal SD memory card. Cameras equipped with the W-5 chipset also feature eight motion detection zones, twelve privacy masking zones and a fourteen language on-screen display menu. A1 DSP Chipset As well as containing many of the features of the W-5 DSP chipset, the innovative functionality built into the A1 chipset adds VPS (Virtual Progressive Scan) which features a ’capture screen’ that can show the outline of a moving object as clearly as a still object. Other features include, Picture on Picture, RS485 control, Polygonal Privacy Zones and Intelligent Video Analytics (IVA). As is the case with all Samsung chipsets, the A1 DSP is utilised in a wide range of camera types including box and zoom lens cameras and fixed and varifocal domes. Vandal resistant varieties are also available as are fully functional speed dome cameras. capability which includes optical tripwire and enter/exit direction detection whilst an Appear/Disappear function can detect the movement of objects. IVA also has a scene change tampering function which creates an alert if, for example, paint is sprayed on a camera lens or there is an unauthorised manual change of a camera angle. The new WiseNet1 DSP equipped cameras and domes will incorporate Intelligent Video Analytics (IVA) and a wide range of practical time and cost saving features including PoE (Power over Ethernet) and BNC as well as Ethernet outputs, so that video can be transmitted via coaxial cabling as well as over a network. Full duplex bi-directional audio provides the option of interactive communication between a camera’s location and a control room. All the new cameras and domes will have true day/night functionality with an IR cut filter and will also incorporate Samsung Super Noise Reduction (SSNRIII) technology. Other key features include Highlight Compensation (HLC) technology and Samsung Super Dynamic Range. Samsung can claim that its substantial investment in R&D has been more than justified by remarkable improvements in terms of image quality, lowlight performance and additional functionality. Just three years ago it could not perhaps be imagined that innovative technical features such as Digital Image Stabilisation, Highlight Compensation and Dynamic Backlight Compensation could be available in anything other than the most expensive of CCTV cameras. And yet they are all now readily available in commercial and competitively priced cameras. If you would like further information on the comprehensive range of cameras and domes which benefit from the results of Samsung’s investment in DSP chipset technology, please email STEsecurity@samsung.com or telephone +44 (0)1932 455308. IC Realtime’s new ICR IP speed dome suite of cameras are available in 18x, 26x and 36x ranges of magnification. These IP cameras integrate video server and dome camera functionality to provide omni-directional network surveillance solutions. TeleEye RA30 Series is a range of feature-rich and user-friendly 4, 8 and 16 channel digital video recorders providing high quality video recording and playback. Marketing is typically the last thing that a business owner wants to think about, but it is actually one of the first things that need to be considered for building a successful security business. Without it, you probably won’t have a business for long. Simply put…every business needs customers, and security firms are no exception. A good marketing plan doesn’t have to be time-consuming and complicated, but it does need to be updated and current. Even though the basics of marketing don’t change that much, the vehicles by which those principles are effectively brought to the buying public are constantly changing. Marketing should be planned with expenditures of time and money specifically allocated in a way that will garner good results. By following a few fundamental steps to create and update your marketing strategies, you can ensure an ongoing flow of customers, which translates to an ongoing flow of income. purposes, you may want to concentrate on one particular service. •L  ocation Niche – In this instance, you would be concentrating your marketing efforts on a particular geographical area. It’s important to understand that a marketing niche simply means the person, service or location on which you will concentrate your marketing efforts…it does not mean that you will only do business with this particular niche. country or all over the world. That is no longer the case. Many people now use the Internet to search for local businesses much the way they once used the telephone book. While your action plan will need to be created specifically for your business and your marketing niche, the following are a few key factors that should be considered for both local and Internet marketing actions. •B  usiness Cards – Don’t overlook their importance. Keep them with you all the time and hand them to develop name recognition in your local area. There’s no point in having them nicely tucked away in your desk drawer. •B  rochures – Often overlooked by many firms…especially smaller ones…a brochure is a defined synopsis of your business that can be handed out to prospects or left in areas where your ideal customer congregates. •M  edia Coverage – Every area has some type of communication media whether it is a newspaper, magazines, radio or television. And every one of these media outlets is looking for stories and information…and editors typically scan press releases to find the stories and information they are looking for. Become familiar with press releases or find someone who can do them for you to help establish your expertise, publicise your community involvement, or provide information that will bring you to the attention of the buying public. •C  lient Referrals – Your current customers are your best marketing tools…ask them for referrals. •C  ommunity Involvement – Be an active part of your community to help get name recognition for your company. •N  etworking – Join networking groups or local business groups where you can meet people who are either a part of your niche market or can help communicate your services to your niche market. The costs for Internet marketing are extremely affordable and can be highly productive if managed well. •W  ebsite – Keep it up-to-date and SEO optimised…and if you don’t know what that means, find someone who does. There are Internet traffic companies that can help you attract local customers to your website so that you are targeting the specific customers that you want to attract. •B  logs – Many businesses use blogs as a way to promote their business and establish themselves as an expert in their field. There is no expense to create a blog…it can be done at www. wordpress. com and then linked to your website. G4S Secure Solutions (Ire.) Ltd. announce the retirement of Eamonn Hudson G4S Secure Solutions (Ire.) 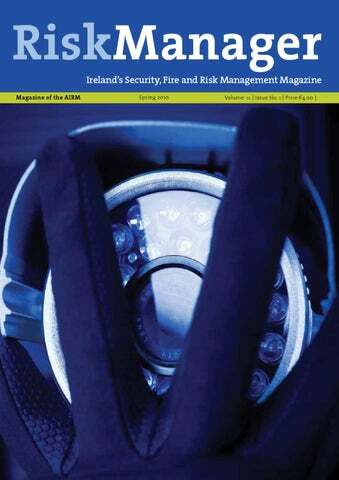 Ltd. have a long and proud history within the security industry in Ireland. Stretching back to 1968 when it first traded under the name Irish Security Services Ltd, the company now employs over 3000 people across its many service sectors. Sean Lemass, a former Taoiseach was one of the company’s original non-executive directors. Its first Irish Managing Director, Bart Lynch, was appointed in 1982. Eight years later Eamonn Hudson succeeded Bart having joined the company in 1973. Over the following 20 years Eamonn led the company through a sustained period of growth and development which included many local acquisitions that encompassed Security Wardens, SecureTec (Athlone), MSA, Bell Communications and A1 Omada. During his time the company has developed a strong portfolio of customer services that covers guarding services, security and fire systems, monitoring and response, and integrated support services including the company’s cleaning operations. In total, G4S now services over 25,000 customers. and Ireland, wished Niall every success and commented: “Niall’s experience at growing business in Ireland and internationally will be invaluable in helping us to develop our Irish operations. I believe his drive and expertise will help us to develop our position as the leading provider of secure solutions in Ireland. Osmosis Ireland partners with Luminite Electronics… Osmosis Ireland has recently set up a new distribution partnership with Luminite Electronics Ltd.
Luminite Electronics Ltd. is a UK based company with 25 years experience in the design and manufacture of PIR detectors, controls and associated products and have particular expertise in wireless transmission. The Luminite GENESIS Range of Wireless Passive Infra Red Detectors and accessories have been designed to meet the newest and most demanding requirements of the CCTV market. The Genesis range is now recognized amongst its customers and competitors for its wireless capabilities that allow wireless communication over difficult sites which would otherwise not be possible. The Genesis PIR detector range is now also compatible with GeoVision DVR’s! Plug and play direct interface to any GeoVision DVR allows for an even faster installation and reduces costs. The entire Genesis Range is now available in Ireland exclusively from Osmosis. Osmosis Ireland - ICT Specialist Distributor of the Year 2008 and ICT Distributor of the Year 2007, is a trade only distributor, specializing in the areas of CCTV, IT, AV & Consumer Electronics. Now celebrating their 11th year in business, Osmosis works with over 30 Suppliers and 2500 resellers and retailers nationwide. FEATURES • Accurate Real-time Text Overlay - up to 40-character wide text, size and color changeable. • Adaptability - support most common cash registers on the market. • Highly Scalable - can be used for single cash register application to multiple POS points large store,to big chain-store with large number of multiple POS storefronts. Management Software is able to manage/control thousands of POSs on a layered structure. • Large Storage - built-in flash memory allows up-to 10000 sales receipts being stored before being uploaded from the central management server. This practically eliminates data loss due to network/server interruptions. • DVR Integration - fully integrated with ICRealtime’s H.264 series DVRs. Instant correlation between sales activities, sales tickets information, and recorded video images. Ex, you can search one particular sales item within certain time period and then watch the interested sales event on recorded video. • High Intelligence - strong capability in analyzing sales tickets/receipts, user configurable search fields. • Easy to Use - auto search feature (similar to IP cameras), Embedded design for easy installation, configuration and software upgrade through network. €5m investment creates 50 highly skilled new jobs at New Corporate HQ Rather than "wrapping our arms around what we had, hoping we would survive and pick up the pieces thereafter", Walsh and Kelly decided to remain positive and invest in both the business and its employees. And so, earlier this month The Taoiseach, Mr. Brian Cowen, T.D., officially opened the new ’s new Corporate ch at w et ative in N with an oper ng ki Headquarters ea or ct sp ire en TD Managing D h, Brian Cow avid Walsh, and state of the An Taoiseac erseen by D ov , re nt Ce Command art Command Centre in Carlow and announced the creation of 50 highly skilled new jobs by the company. The 50 new jobs in Operations and R&D will be created over the next eighteen months by the company, bringing total employment to over 120 people. Established in 2003 Netwatch is an award winning protection services company which provides real time remote security monitoring to businesses and private residences in Ireland and internationally. It was the first company in Ireland to combine specialist video transmission technologies with satellite communications to provide safe, preventative, immediate and cost effective protection solutions for clients. Clients include the sports and leisure industry, automotive, construction, manufacturing, engineering, retail and the public sector. David Walsh, Managing Director of Netwatch acknowledges that the company was borne through an innovative approach to business, "Our first innovation was in exploiting an idea – creating a safer and better way of providing security– and in identifying the revolutionary systems which would allow us to bring such a technology to the Irish market. Two years ago, just as the Irish economy was starting to unravel, David Walsh and Niall Kelly, founders of Netwatch decided to invest €5million in the development of a new corporate headquarters and command centre in Carlow. When asked about their motivation, the response is paradoxical "To play it safe then would have been too risky". In hindsight, the contradiction makes perfect sense. This most recent investment includes the establishment of a dedicated Research and Development centre. Up to eight employees will focus on the development of new software applications and more intelligent transmission equipment and site hardware to ensure Netwatch remains a technological leader in protection systems. The entrepreneurial spirit of the company was acknowledged by the Taoiseach, when he welcomed the decision of Netwatch to invest in research and development in the current economic climate and stated the investment was "closely aligned to the Government's agenda in relation to innovation." "Significant investments in research and development are critical if we are to foster innovation in Ireland. Netwatch is a dynamic and energetic company, driven by innovation and commercialisation and it is exactly the kind of company that we want in Ireland as we build our Smart Economy and strive to recover from our current economic difficulties," said the Taoiseach. In response to a site survey exercise where 30%-50% of the premises examined had defective cameras and inadequate lighting, Netwatch recently launched Managed Services which provides clients with the most advanced protection systems without the need for the company to invest in acquiring and maintaining equipment which will quickly become obsolete. Olympics to provide protection for critical communications infrastructure at the 2012 Olympic Games. They have developed a unique wireless protection product for remote communication masts which is currently being trialed at several locations. "Our new R&D centre will allow us to continue to innovate with new applications and new technologies which will better protect our customers and their properties." Some Statistics on Piracy & Robberies at Sea. A total of 406 incidents of piracy and armed robbery have been reported in the 2009 annual piracy report issued by the ICC International Maritime Bureauâ&#x20AC;&#x2122;s Piracy Reporting Centre (IMB PRC). The table below shows an increase in the number of attacks that have occurred from 2006-2009. 2010 incidents to date: Twenty-six vessels were boarded during the first quarter of 2010, with 18 ships fired upon, 12 suffering from attempted attacks, and 11 vessels hijacked. A total of 194 crew members were taken hostage, 12 of whom were injured. The following map shows all the piracy and armed robbery incidents reported to the IMB Piracy Reporting Centre during 2010. If exact coordinates are not provided, estimated positions are shown based on information provided. Whilst crime does not specifically fall within the remit of the ISPS Code, it has huge implications on the risks associated with maritime security. There is no obligation under the code to record general crime statistics, however best practise indicates that being aware of crime trends and communicating between facilities, it helps to reduce the levels of crime through the effective implementation of security measures. Within Ireland, general crime statistics, classified as minor incidents (in relation to the code) are recorded. These types of incidents include but are not exclusive to burglary, thefts, trespassing and criminal damage. RMS Consulting is a leading provider of security consulting services specialising in company premises security audits, security procurement assessments and training for the security industry. RMS offers consultancy services to assist clients to provide safe and secure environments for their people, property and Profits. Making the right decision is crucial to the success of any business, however, when it comes to security this usually requires specialist assistance. Many companies do not have in-house security experts or the available resources to do this. for your home or business.Some of the services provided are: 1. Risk Assessments 2. Security Audits 3. Security Surveys 4. Investigations 5. Project Management 6. Security Design 7. Internal Auditing 8. Health & Safety Inspections & Audits 9. Business Consulting 10. Loss Prevention Solutions 11. Training Services 12. ISPS Auditing • Conducting Site Security Surveys • Conducting Port Facility Security Assessments • Conducting Ships Security Assessments • Development of Policies, Plans and Procedures • Development of Port Facility Security Plans • Development of Ships Security Plans RMS is currently working with SEEK Academy to develop an online course for Maritime Security to address growing need for training in this area globally. This online programme with be delivered online through www. seekacademy.com providing employers with a compliance record of training delivered whilst giving employees access to their training 24/7, anytime, anywhere. Are you putting your IT security at risk Too many are, according to 8 Solutions managing director, Amit Mehta Working in business continuity or risk, there are many things you simply don’t want to hear, “a server has gone down” is probably one of them and maybe the one you dread most. For some, a server packing up, even for a short time, would be a disaster, for others it would merely be a big inconvenience. But, regardless of the severity of the problem it causes, you would need to know how and why it happened. You will have a responsibility to get to the bottom of the issue and find out exactly what caused it. Warranties would be called upon, assessors could be brought in, answers would be needed and blame assigned. on precisely this topic. As he described, any type of contamination can cause serious problems but he started his talk with the biggest culprit, dust (or chemically inert dust to be specific). fully remove each and all contamination types. The value of professional facility cleaning is today still grossly underestimated and it is unfortunate that it will likely take a major failure, before many organisations regard the service as key to business continuity and the long term efficiency of their facility. As facilities and data centres continue to grow exponentially and become even more vital to a business’ operations, the risks from contamination rise proportionately and it is those who ignore those risks who will see their businesses suffer in the long term. Top tips for risk prevention: • Only use professional data centre cleaning companies Choose a company which uses only a permanently employed, highly trained team – who have also been police checked to work in secure environments. Ensure any materials its employees use are specifically designed for the purpose and are chemically inert. Strong chemicals and water have the potential to cause corrosive dust, which could contain ionic chemical compounds like sulphur and chlorine salts, which, when wet, become corrosive or can create short circuits within equipment. • Minimise exposure between professional cleans Having strict rules on what can and cannot enter the facility will help to limit the level of contamination between professional visits. Banning all food and drink stuffs, as well as removing all packaging outside the facility, may seem like simple and obvious tips but rarely are they enforced as strictly as they should be. Limiting the number of personnel who have access is another important rule, if there is no need to be in there, don’t be. Removing all unnecessary equipment and work stations will also help stop people feeling it is acceptable to remain inside. Hand Arm Vibration Syndrome (HAVS) Robert Tailby, Loss Control Specialist with Chubb Insurance, answers some commonly asked questions about a problem that some companies are still not dealing with adequately. What is it? way to express this is 5 m/s2 A(8). lawnmowers, chainsaws, hedge What are the effects? trimmers, floor sanders and the like. HAVS is vibration white finger (VWF). How much vibration causes HAVS? will be reached in only 30 minutes. maximum daily vibration dose limit. vibration they are likely to generate. are now appearing on the market. larger, heavier mops produced much lower doses. Martin Stairs is a former President of the ISIA and a member of the board of the Private Security Authority ( PSA). He made a presentation to AIRM members giving us an update of security issues of interest. In his role with the PSA he outlined the licensing programme applicable to the following: • CCTV Installers and Central Monitoring Stations staff • Security Supervisors in all companies • Event Security • Locksmiths • Access Control • Security Consultants • Security Suppliers Martin expressed a personal opinion that there were too many Central Monitoring Stations and he feels there will be serious contraction in their numbers over the next few years. Pyrite in particular has been used in the recent past as a foundation material in some house building. The difficulty with using this material is that it oxides in the presence of moisture and oxygen and can cause the stone fills to swell and the foundation slab to lift and crack if the amount of pyrite exceeds certain levels. With the difficulties that are occurring there a now a number of legal actions currently being taken against developers and quarry owners. The Seminar was extremely well attended with extra seating required for the vast number of members. Kevin’s presentation outlined the various issues involved in using pyrite as a foundation material and there was a very lively discussion amongst the attendance. "... there a now a number of legal actions currently being taken against developers and quarry owners... "
Appointments & Recruitments Export Sales Manager In our effort to establish Access Control Technology (ACT) Ltd. as a leading manufacturer on access control products internationally, ACT is delighted to announce the appointment of Serge Tureau to the position of Export Sales Manager. Serge comes to ACT with a wealth of experience in international sales and business development. A French national, Serge holds a degree in International Business and is fluent in a number of European languages including, Spanish, Dutch as well as his native French. Serge has been selling products to the building sector and related industries for the past 15 years and has held managerial positions in the Netherlands, France, England and Ireland. Technical Support Agent The position of Technical Support Agent is telephone based offering hardware and software support to installers of ACT equipment. The role also involves training installers on ACT products and testing new products as they are released. required to visit a customer’s site on occasion. and are looking for an exciting opportunity with a dynamic and progressive company visit our website at www.accesscontrol.ie for a full job specification. Speaking about his recent appointment, Serge commented “I am looking forward to building on ACT’s success in the Irish and UK markets and growing ACT’s business internationally. An attractive package is available to the right candidate. SANYO has appointed David Hammond as European Sales Manager for its CCTV division. In his new role David Hammond will be responsible for developing the European sales channel for SANYO’s extensive CCTV product range and for ensuring that SANYO’s distributors throughout Europe are provided with the highest levels of pre and post sales support. Commenting on his appointment, David said: “I am delighted to be given this exciting career opportunity to add to the success of one of the industry’s strongest brands. The timing could not be better with interest in SANYO’s competitively priced HD camera range growing daily. David, who has worked within the electronic security industry for almost thirty years, was previously Western Europe Sales Manager for Samsung Techwin.